Every so often, I come across a house of such beauty that I have to let everyone know. 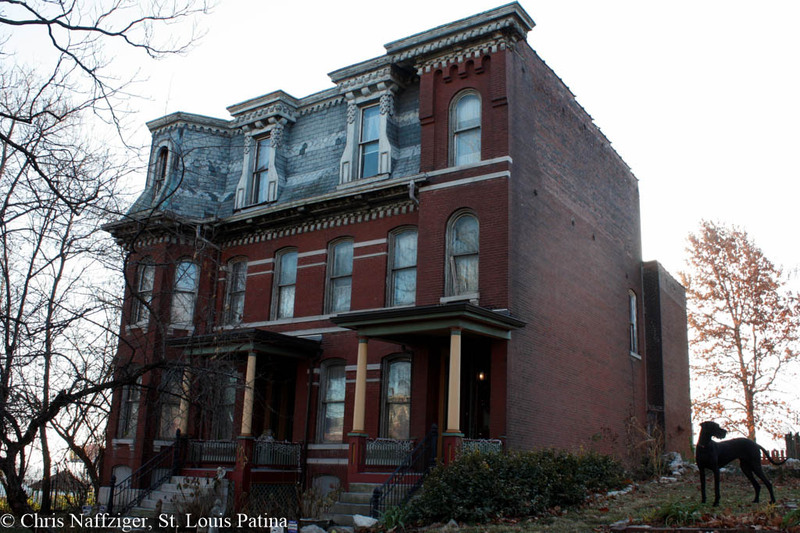 It is actually two row houses, labeled as “Park Place, F. Watkins” on 1875’s Compton and Dry, and there were four or five neighbors (labeled 11) to the two eastern survivors. 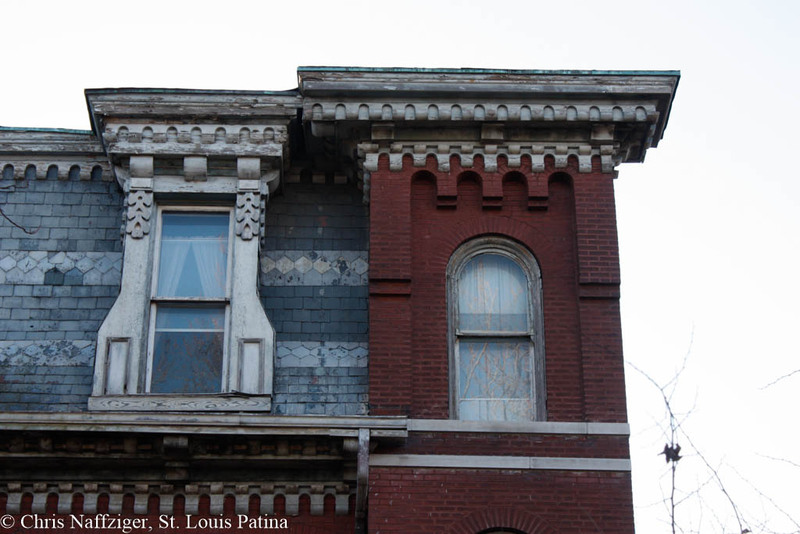 It must have been a wonderfully grand row of houses. But what is fascinating, is that the western wall of 1124 is in very good shape, and must have been rebuilt after the others were demolished. I wonder if fire destroyed the other ones. 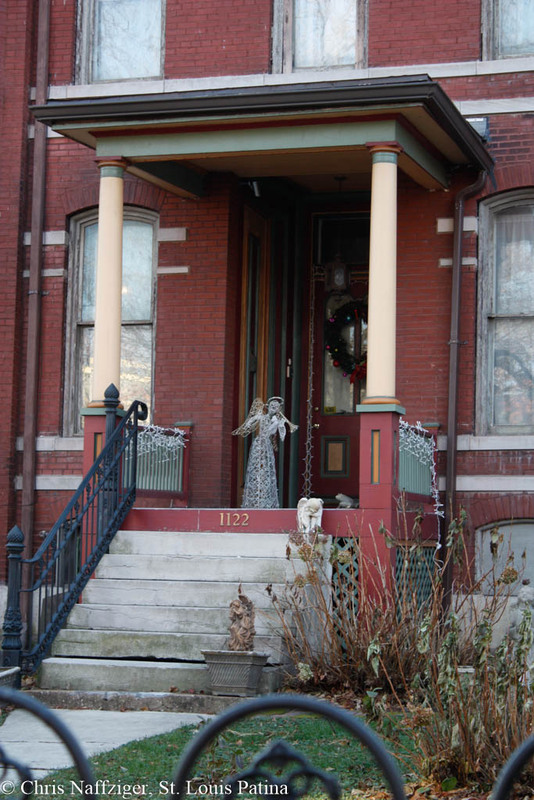 Also, these upscale rows were common in Hyde Park. 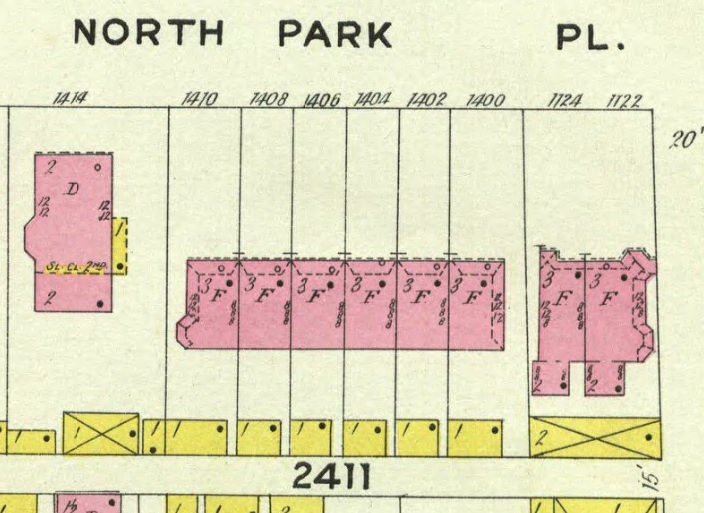 One thing can be said with certainty, they were gone by 1909, because they were replaced with another row of houses, all of which are now gone, as this Sanborn Map shows. Yes, that is a real dog, polite but wary. 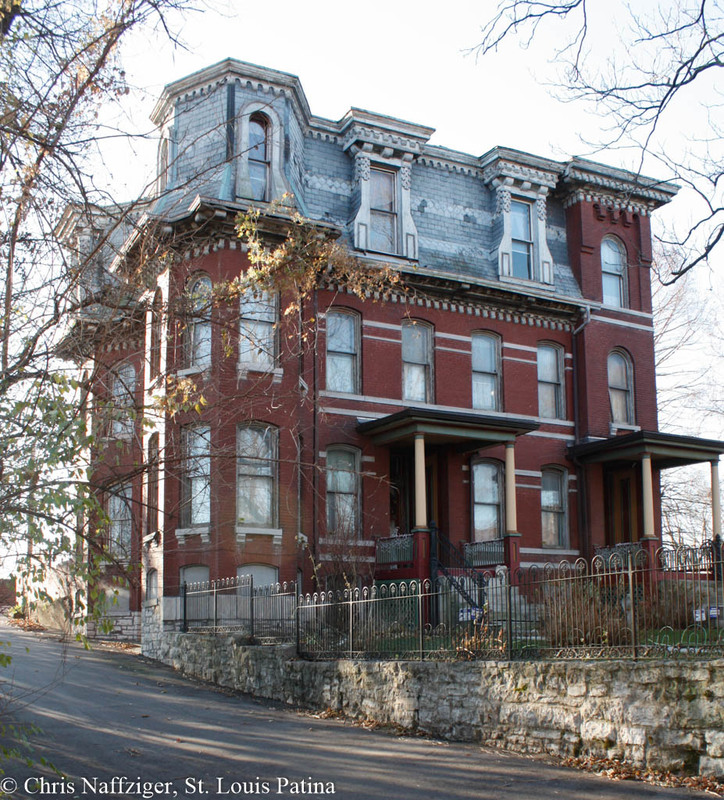 This is not your everyday Second Empire, but a much more lavish, more exaggerated style that is very rarely seen in St. Louis surviving. 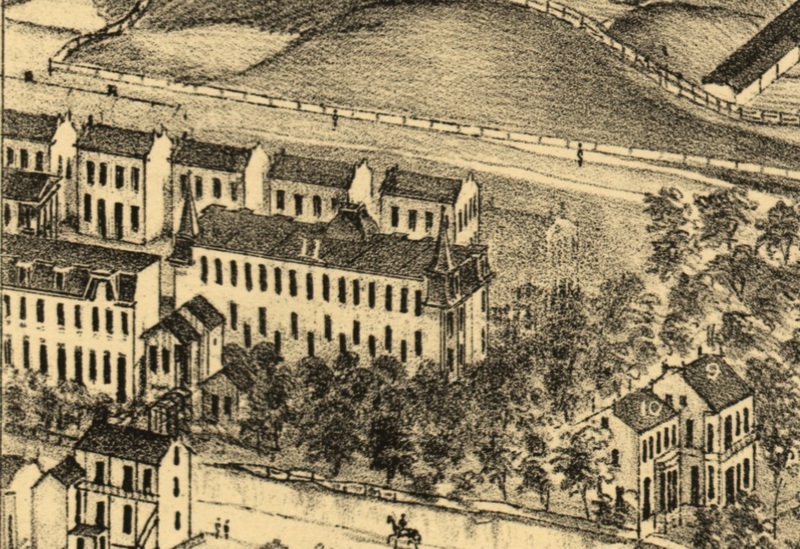 The City’s date of 1890 for construction is clearly wrong, as the buildings appear in 1875. 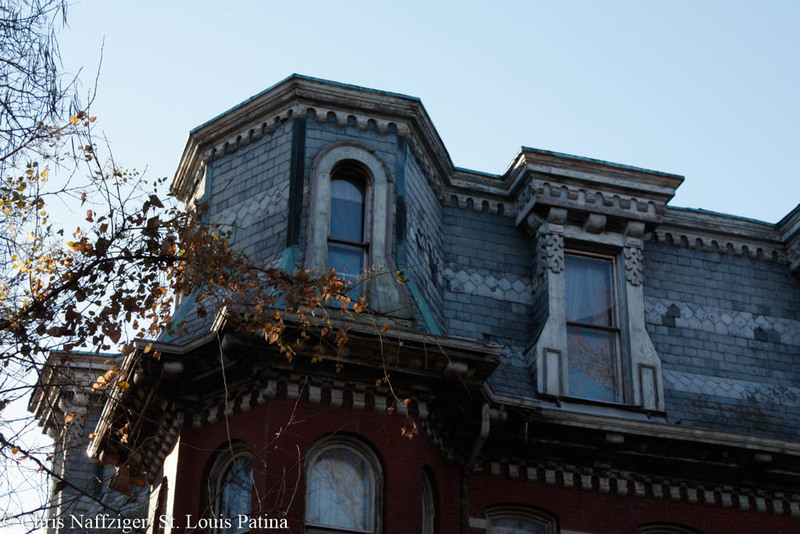 There was obviously a lot of money put into restoring this beautiful house, and I’m glad that at least this one can be safe. The millwork is still in good condition, as well. 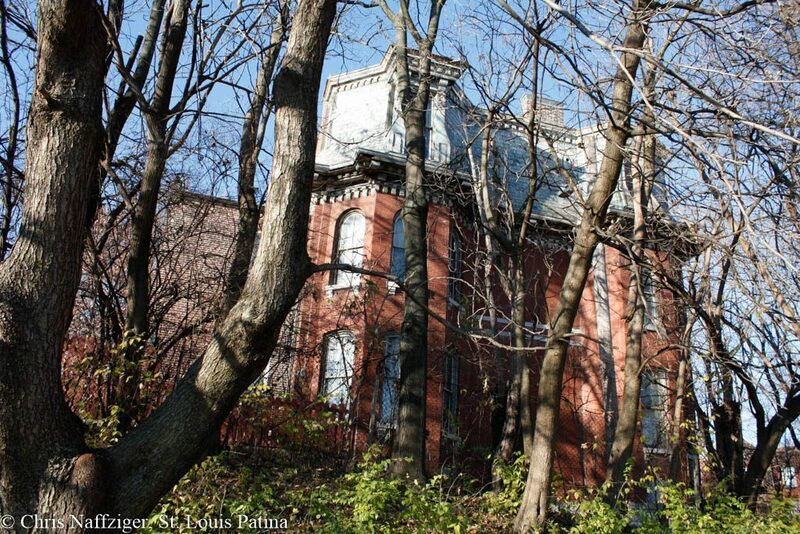 The mansions on the east side are gone, and replaced by some volunteer trees in a vacant lot turned community garden.